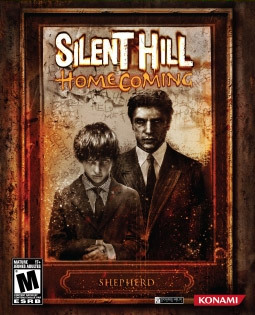 Silent Hill 5: Homecoming in the 6th installment of, what I believe to be, one of the best survival horror video game franchises currently available commercially. Unfortunately, it doesn’t live up to its predecessors. Now before I have to put on a flame proof suit, let me immediately say something. It isn’t that I didn’t like Silent Hill 5. It’s a good game. It just isn’t a Silent Hill game. A quick warning to those that read on, this article may contain some spoilers. Anyway, let’s move on. Here is a bit of back story on this games development. Silent Hill 5 was not developed by Team Silent, who where responsible for developing the previous five iterations of the franchise. Silent Hill 5 was instead developed by the western (read: American) development house: Double Helix. Being a long time fan of Silent Hill and Japanese horror, when I originally heard of this departure I was a bit concerned. Later in the development cycle it was announced that Silent Hill 5 would be the first installment of Silent Hill that would feature a main character who has combat training: a soldier Again, my eyebrow was risen. Silent Hill games have been renowned for the feeling of desperation and overwhelming doom. Could a soldier impart that same emotional desperation? Still, I was hopeful that Double Helix would remain true to the art that is Silent Hill and not give us a run of the mill action game with the Silent Hill intellectual property painted over it. Unfortunate, it was not to be. Right off the bat I need at least give credit where credit is due. The game looks amazing. It is well rendered, runs with a steady frame rate, has fantastic textures, etc. The sound and music is once again brought to us by Akira Yamaoka, and as usual he does an immaculate job. There, now that the technical praise has been given, lets dive into the game itself. Within moments of starting the game you are greeted to a wonderful opening sequence that is crawling with imagery that is reminiscent of the movie Jacob’s Ladder, and this is a good thing. To be honest, aside from thrusting you right into game play, the entire opening sequence and Hospital level is great. You are also quickly introduced to the fact that Double Helix heavily relied on the Silent Hill movie for visual inspiration. This isn’t a bad thing, the otherworld transitions look amazing and the nurses are very creepy. That is, until you notice a few iconic Silent Hill features are missing. First and foremost we need to discuss the camera. Oh lord the camera. 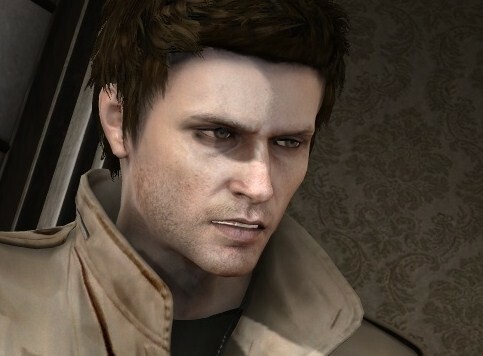 Silent Hill 5 features a free motion third person over-the-shoulder (OTS) camera. This type of camera is fairly standard in third person action games, think Resident Evil 4. Now I understand why they made this choice, and I will get to that, but let me first impart to you why this really disappointed me. Silent Hill, itself, is similar to a piece of art. That isn’t to say that they are masterpieces, but the analogy is in reference to the fact that the developers have always taken time to really make sure the emotional energy was conveyed. The sound is always fabulous, the visuals are always wonderfully grotesque, and the camera frequently is placed in cinematic positions to really show off some great directing. Those shots really set the mood in any scenes. The lack of those cinematic shots really took away from the overall atmosphere in my opinion. Now, like I said I understand the reasoning behind the camera changes. As mentioned previously, your character has combat training. He can perform melee combos, smash walls, and shoot like a marksman. Having static camera shots would make switching between normal and combat stances/views a bit cumbersome. Still, I feel like proper camera could have found a work around. Perhaps using static shots in rooms that where not inhabited by enemies and where just there to evoke an emotional response? And while we are on the topic of combat, let me mention that my earlier concerns of a combat trained soldier diluting the feeling of hopelessness where not unfounded. Having a character in your control that can decimate demonic legions with knife combos does make the situation seem much less dire. The endless barrage of enemies feels like more of an obstacle course, an annoying one at times. And that brings me to my next point. The enemies. Now, as mentioned previously, Silent Hill has always been somewhat artistic in its approach. This includes enemy designs. They are evocative and perverse, and beautiful in the grotesquery. More importantly, they are usually symbolic. Now, you can say that the enemies in the original Silent Hill weren’t symbolic, but I disagree as they existed in the fragmented mind of an abused child. I digress. The enemies in Silent Hill 5, while rendered beautifully, mean nothing. Now, I suppose you can use some psychology and infer that the Siam represents the male figure dominating the female (Alex’s mother and father), but I the story wasn’t even developed enough in that respect to make that assumption. The Smogs might be representative of the mining accident in Silent Hill, but again, that wasn’t mentioned either. Additionally, the addition of the “order” members as enemies from the Silent Hill movies really deterred from the Silent Hill feel. Fighting humans really seemed out of place. Honestly, as soon as the order members where introduced, the game took a turn for the worst, or at least, turned away from Silent Hill completely. But I’ll let you experience that for yourself. Now, this last area is where I really felt cheated. This game is VIOLENT. It is gratuitous and overly violent. It isn’t subtle in the least. There are people literally being torn in half. Now don’t get me wrong, I love that stuff. It’s just that in a psychological horror game it doesn’t work. It isn’t scary, at all. It’s just the shock value that gets you. There is no underlying tension, and that is where fear comes from. The current version was rejected for rating by the USK, and as of the time of this posting is banned for sale in Australia. The violence is unnecessary. Silent Hill has always been grotesque, but never blatantly violent. This is one the key differences between Japanese and American horror mind you. Japanese horror is usually psychological, American horror relies on shock value. Well, Silent Hill 5 is as American as it gets in this respect. By the end, you will feel as if you are literally playing Hostel the video game. I could go on and on about most of the above ad nauseam, but I won’t. This whole article basically reads like hate mail at this point anyway. I assure you, it isn’t. The game is good. It would have stood fine on its own. It’s just that, to me, it is not a Silent Hill game at all. It is less Silent Hill than the movie was, just bloodier and more violent. I really hope that Team Silent picks up the next iteration, but if they do not, I hope that Double Helix brings on someone who has a bit more artistic vision.